We would like to thank you for choosing Hairsalon WP. Built by the latest version of WordPress and used with WordPress only as well as using the powerful page builder plugin Visual Composer, Hairsalon WP brings to new experiences for users to create awesome beauty, spa & hair salon websites. Now let’s jump to the theme presentation. Verify your PHP limits in Dashboard >> Hairsalon >> System Status. Or contact the server provider to confirm your current PHP limits are and have them set it up again if neeed. Step 3. Browser hairsalon.zip file in your computer and click Install Now button. Step 5. After active the theme, you will see Hairsalon WP notice!. Click “Install and active ThimPress Core to start now! “ to active core of HairSalon WP, move to importing demo data process. Step 2. Unzip hairsalon.zip file. Step 3. Upload the exacted theme folder hairsalon to wp-content/ themes folder. Hairsalon WP requires Thim Core plugin to work. This plugin have to be actived as soon as you uploaded the theme. As we mentioned in section Upload Theme, afer you upload the theme, there will be a notification message “Install and active ThimPress Core to start now! ” This is Thim Core plugin. Find more information about Revolution Slider here. WooCommerce plugin: The theme is integrated WooCommerce plugin for online shopping with full options of WooCommerce. Our Team plugin: A plugin is developed by ourself. It creates Thim: Our Team shortcode which allows you to show off your team members. Testimonials plugin: Another plugin is developed by ourself. 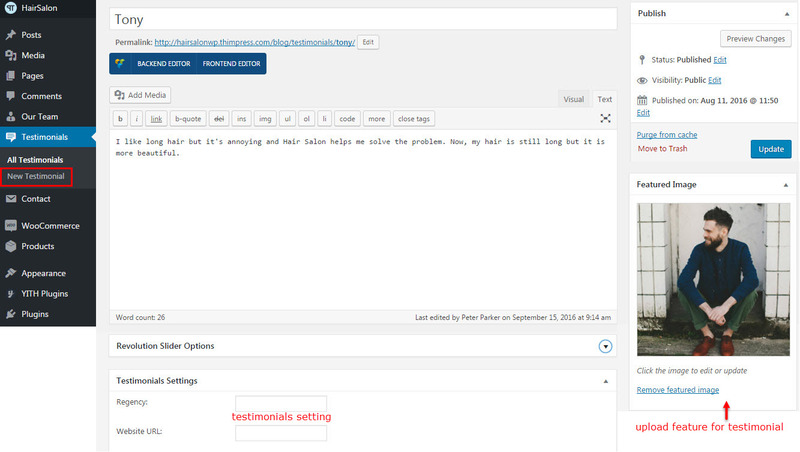 It creates Thim: Testimonials shortcode which allows you to show off your testimonials. There are 2 ways to update the theme: Via Envato Toolkit – automatically update and via FTP – manually update. The updating will not loose your changes before but to be safety, you should backup files and database before updating. 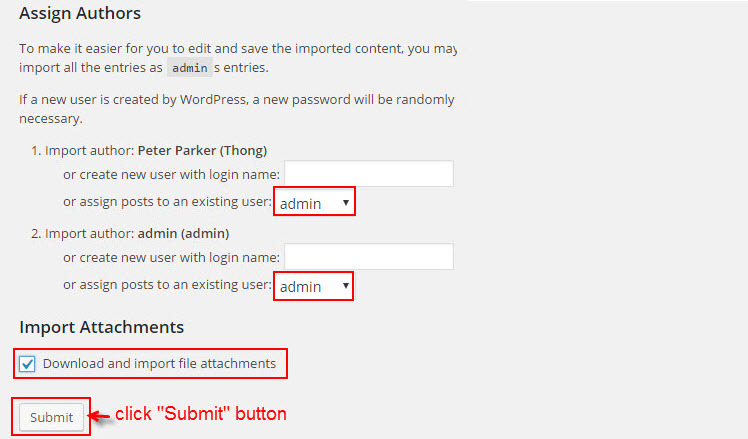 After updated, re-save customize in Dashboard >> Customize >> click Save & Publish. This is the easiest and fastest method to update theme. Do follow these steps to update by Envato Toolkit. Step 1. Login you Envato account. In Download tab, find Hairsalon WP and choose the Installable WordPress Theme (the WordPress file). Step 2. Login your server, then go to wp-content/ themes folder and backup your hairsalon theme folder if you want or delete it. The content in your site will not be lost but if you have modified code, the changes will be lost. You have to reapply them after updating over. Step 3. Exact new file hairsalon.zip you have already downloaded from Themeforest. Step 4. Drag & drop new theme folder hairsalon to wp-content/ theme to override the existing files. 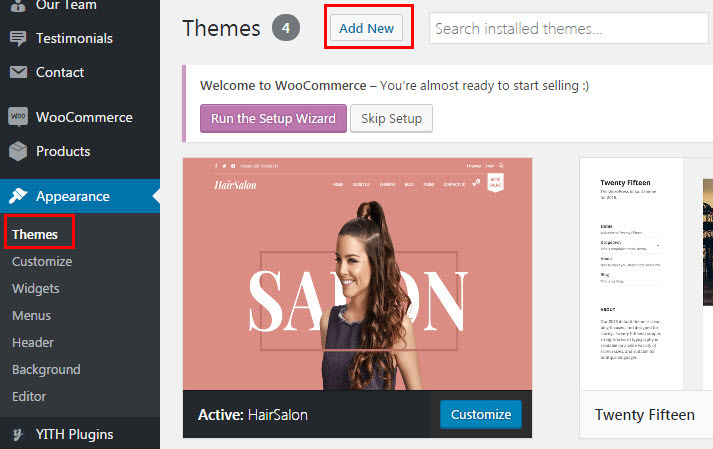 Hairsalon WP provides an available child theme so that you just need to upload to your site without doing anything else after installed the parent theme successfully. Child theme of Hairsalon WP is a zip file named hairsalon-child packed in child-theme folder after exacted theme package (child-theme/ hairsalon-child). Uploading child theme is similar to uploading parent theme. Step 3. Browser child theme hairsalon-child.zip file in child-theme folder and click Install Now button. 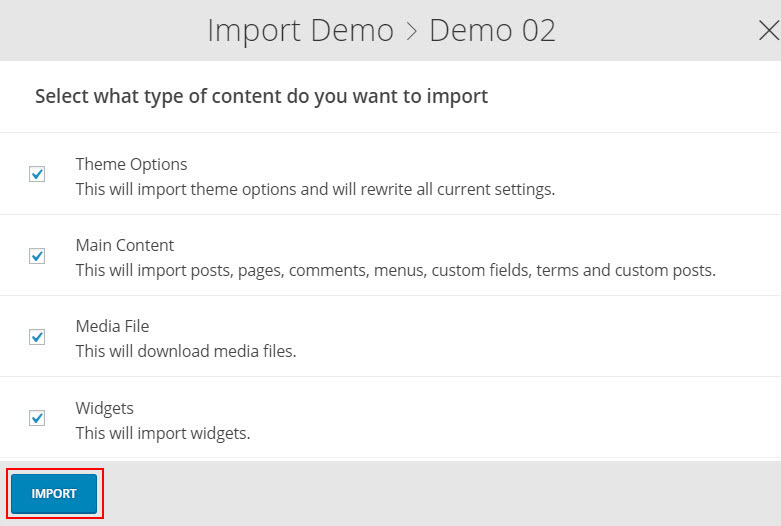 Step 2 – Select a demo and click Import button. There is a “content.xml” file placed in folder name-themeincdatademos, just select a demo you want then find this file for importing demo. 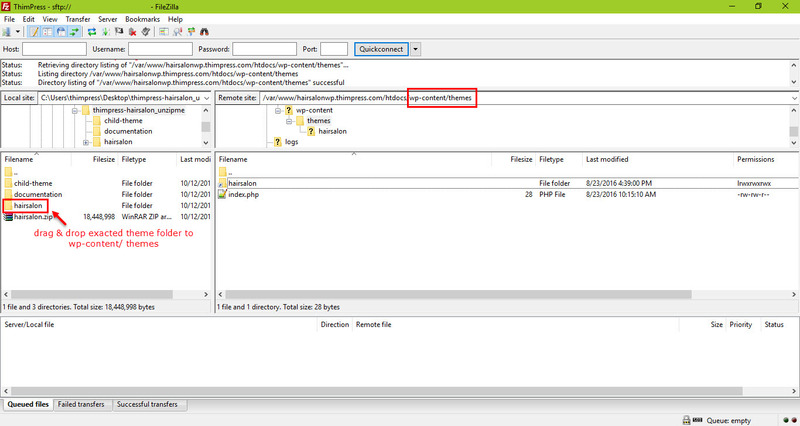 Step 3 – Click Choose File, then choose the content.xml file from your desired demo folder. For example, if you would like to install the Demo-02, you would install the content.xml inside the Demo-02 folder. 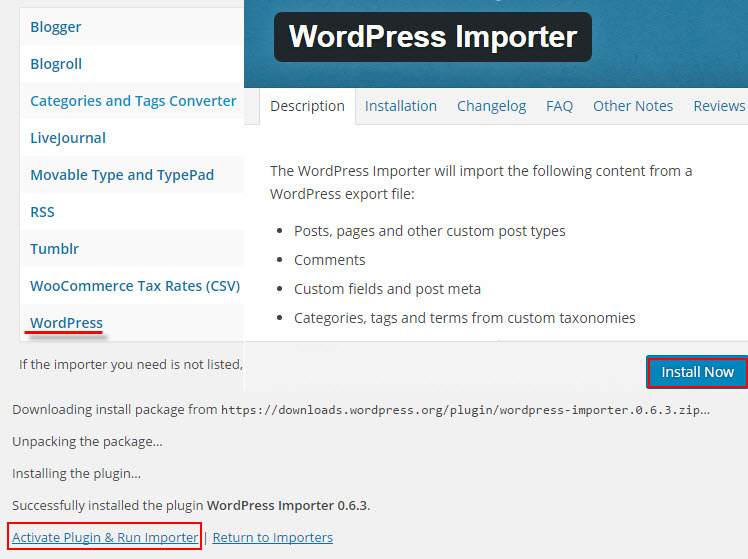 Go to Dashboard > Demo Importer >> Select a demo that you imported XML file and click Import button >> Select content “Theme Options” and click Import button. 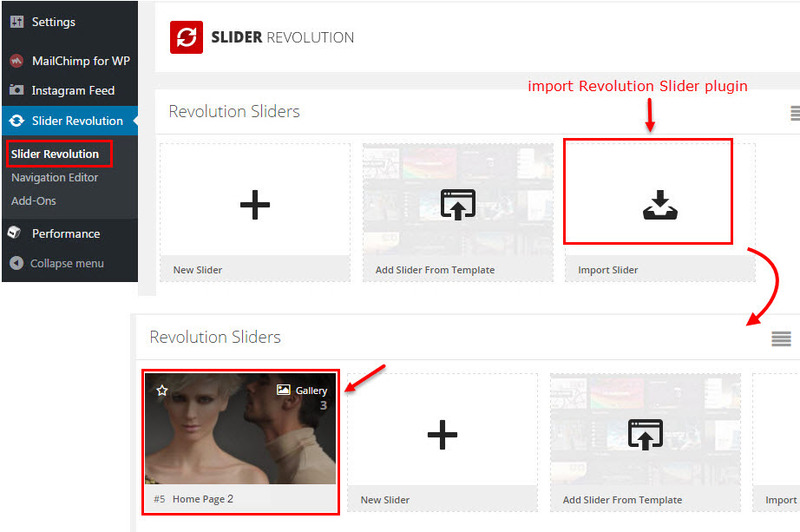 Step 1 – Go to Dashboard >> Slider Revolution >> Slider Revolution tab >> click “Import Slider” to import slider you want. (file slider.zip will be placed in the same folder you got the XML file you’ve just imported. Example: name-themeincdatademosdemo-02revslider). 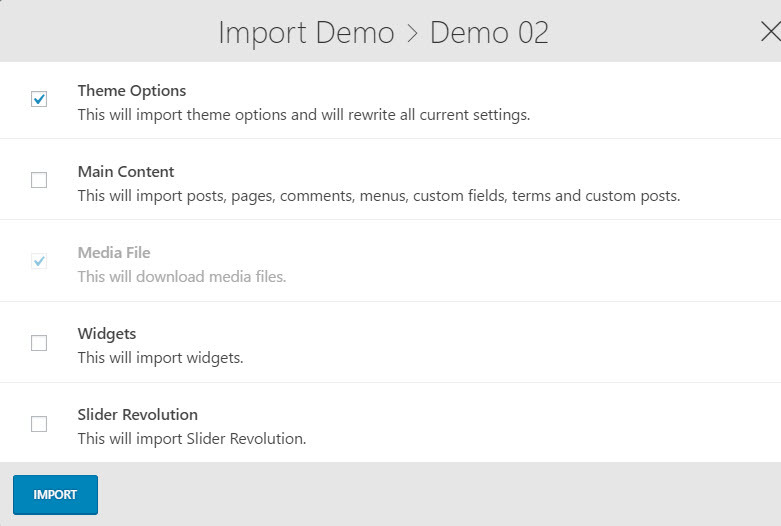 Step 2 – Go to Dashboard >> Pages >> Edit Home page >> Edit Revolution Slider >> select your revolution slider you imported >> click “Save Changes” and “Update” to get the changes. Step 3 – Click the Select A File button, and select the widgets_data.json file from the same folder you got the XML and theme option files you’e just imported. Example: name-themeincdatademosdemo-02widget. 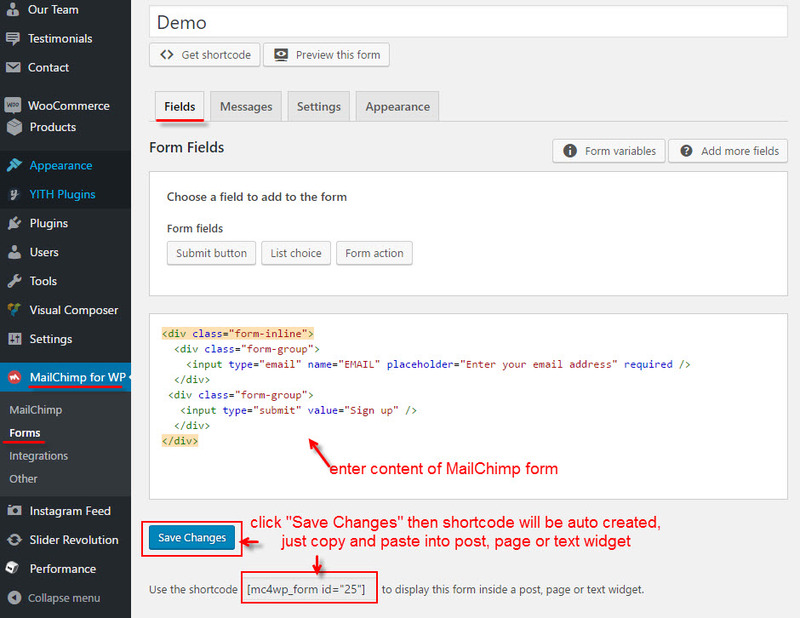 For more detail, you can read document of MailChimp For WP. The top bar is located in the top section of the header and give you the option to display the data, top menu and social icons. Hairsalon WordPress theme comes with 3 templates to give you the freedom to customize this section to best fit your needs. We designed 3 beautiful layouts for the top bar to offer you multiple options for customizing your site. You can choose what items you want to display and how to order them in this section. 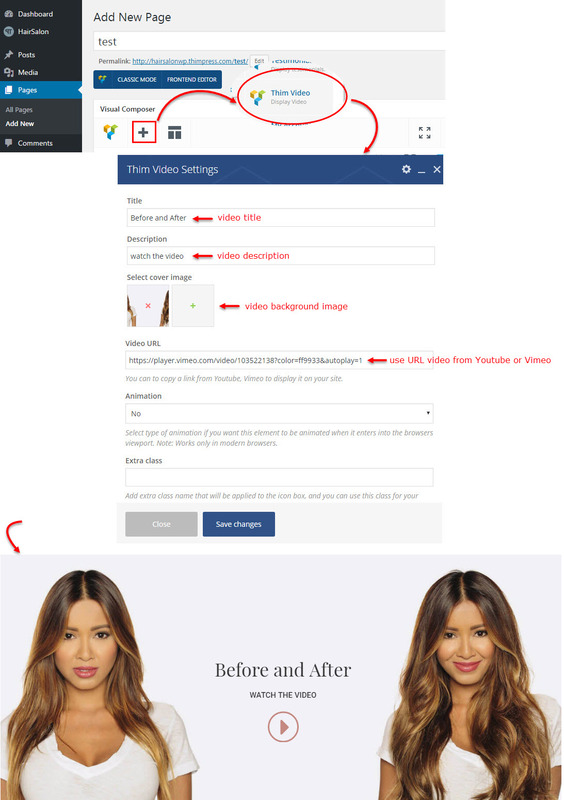 Please see below how to customize it. 3. 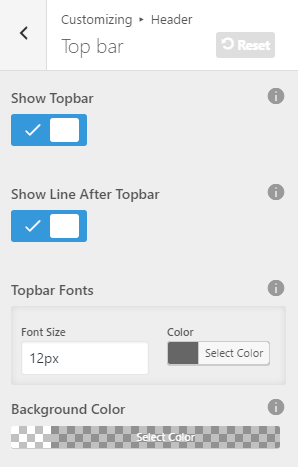 Show Line After Top Bar: This option allows you to enable or disable a line after top bar. To do that go to Dashboard >> Appearance >> Customize >> Header and expand the Top Bar section. Turn on or off to Enable or Disable Line After Top Bar section. 4. 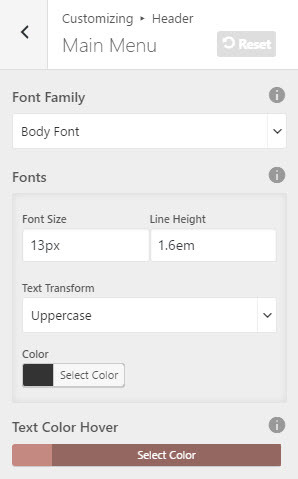 Top bar Fonts: You can decide what font size or color of text you want to display on the top bar section. 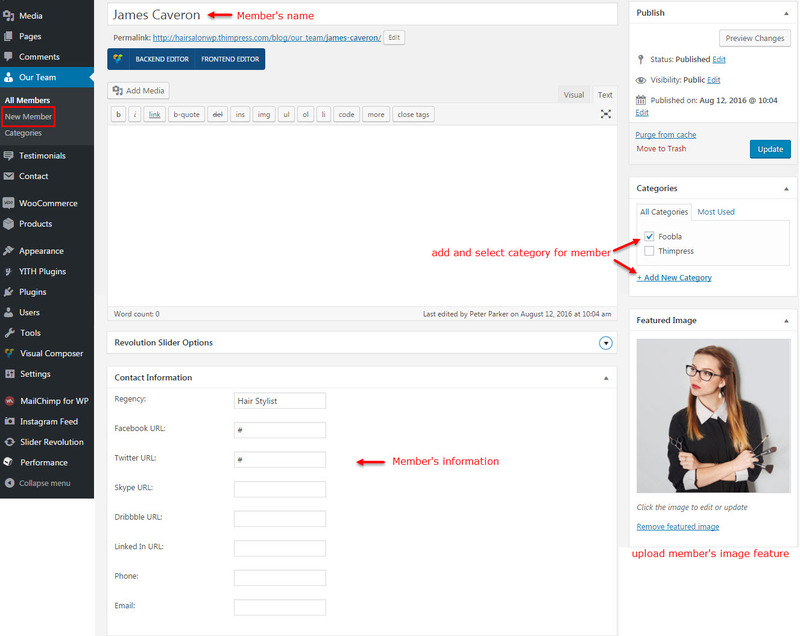 Go to Dashboard >> Appearance >> Customize >> Header and expand the Top Bar section. Select the desired font size and color from Topbar Fonts option. 5. Background Color: Choose whatever color of background color that you want. 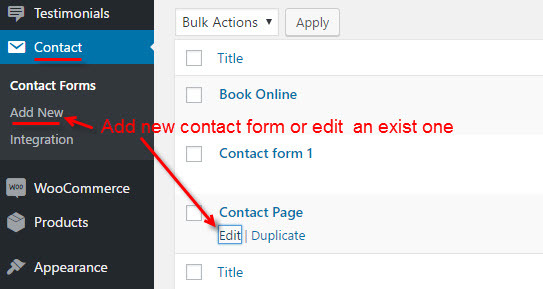 After you finished customizing this section click the Save & Publish button. Hairsalon WordPress theme is so flexible that you can choose where you want to use the menus. Theme supports custom WordPress menus, with multiple levels of drop down for the main menu. There are 2 areas of the theme where you can display a menu: the Main Menu and the Footer Menu. In this section you will learn how to create a new menu, and customize the Main Menu. Hairsalon WordPress theme offers several theme options to customize the menu. They are located in Appearance > Customize > Header >> Main Menu tab. Users can customize the fonts, change color and height of menu text. 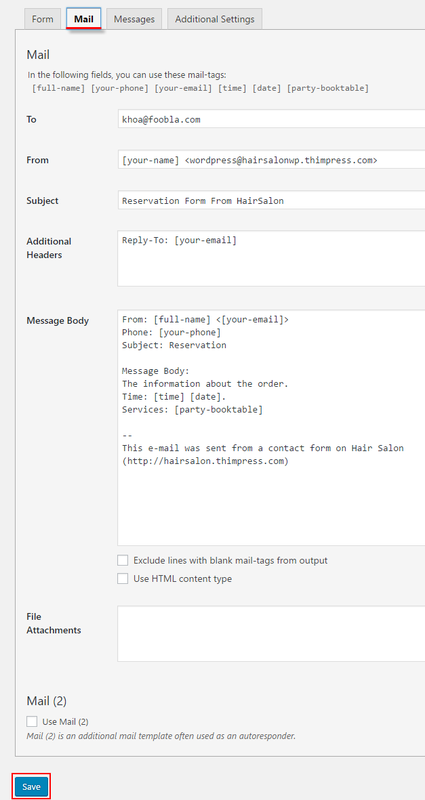 Hairsalon WordPress theme supports to has a sticky header option. For improved usability, as the user scrolls down a page, the sticky header activates ensuring the website’s main menu is always accessible. 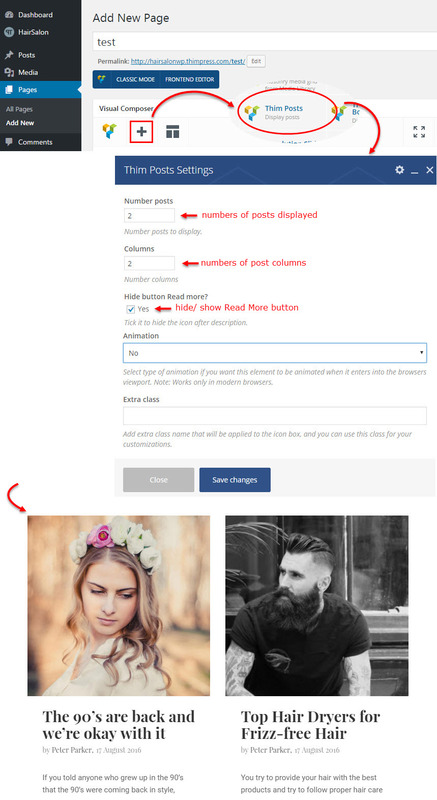 To manage the sticky header, Hairsalon includes several options for styling, as well as visibility options to enable or disable it on various screen sizes. This option gives you the freedom to decide how to display the header logo on scroll. Go to Dashboard >> Appearance >> Customize >> General >> Logo. Hairsalon WordPress theme offers several theme options to customize the sub menu. 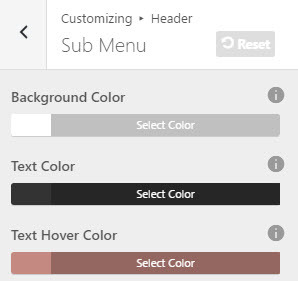 They are located in Appearance >> Customize >> Header >> Sub Menu tab. Users can change color of background, text, text hover for sub menu. With Hairsalon WordPress theme, there are 2 pre-made area sidebars for Blog page and Shop page. Therefore, you don’t need to create a widget area for them, you can simply add widgets to the pre-made widget area directly. 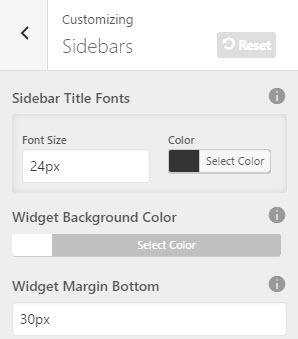 To configure for widgets in Sidebar areas, go to Dashboard >> Appearance >> Customize >> Sidebars. Users can configure Tittle Fonts, Widget Background Color, Widget Margin Bottom for widgets of sidebar, footer sidebars, siebar shop, footer banner, mega menu widgets. Hairsalon WordPress theme allows you to create unlimited amount of sidebars, and these sidebars can be assigned to several areas of the site such as the sidebar, footer sidebars, sidebar shop, footer banner, mega menu widgets. 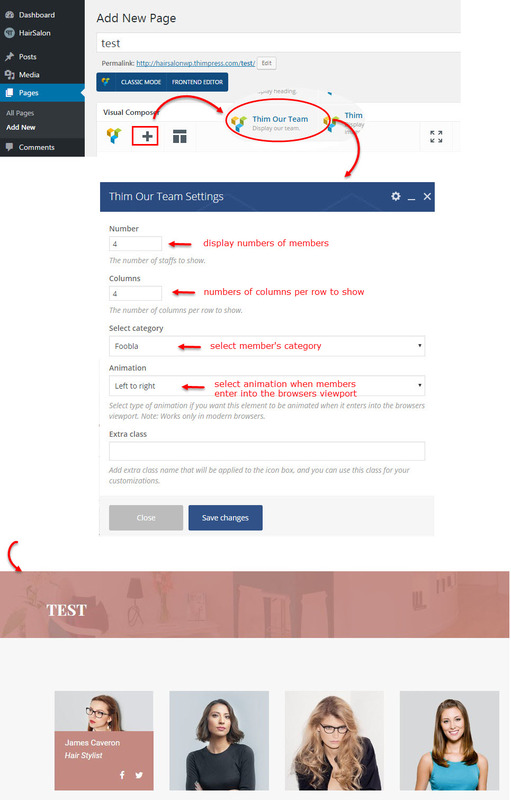 To learn more about widget ready areas, please see the steps below to understand how to create a sidebar. Blog page is a page to show posts. 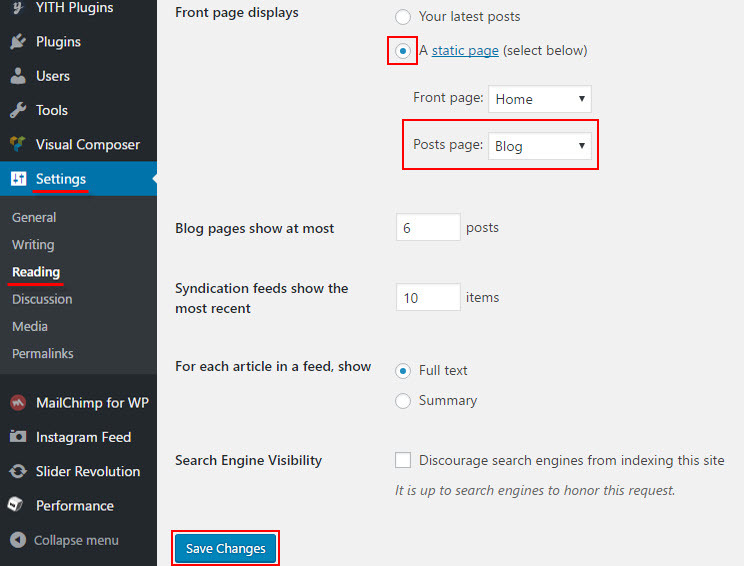 To select a page is blog page, you need to go to Dashboard >> Setting >> Reading >> select “A static page” >> select page for “Posts page” >> click “Save Changes” button. 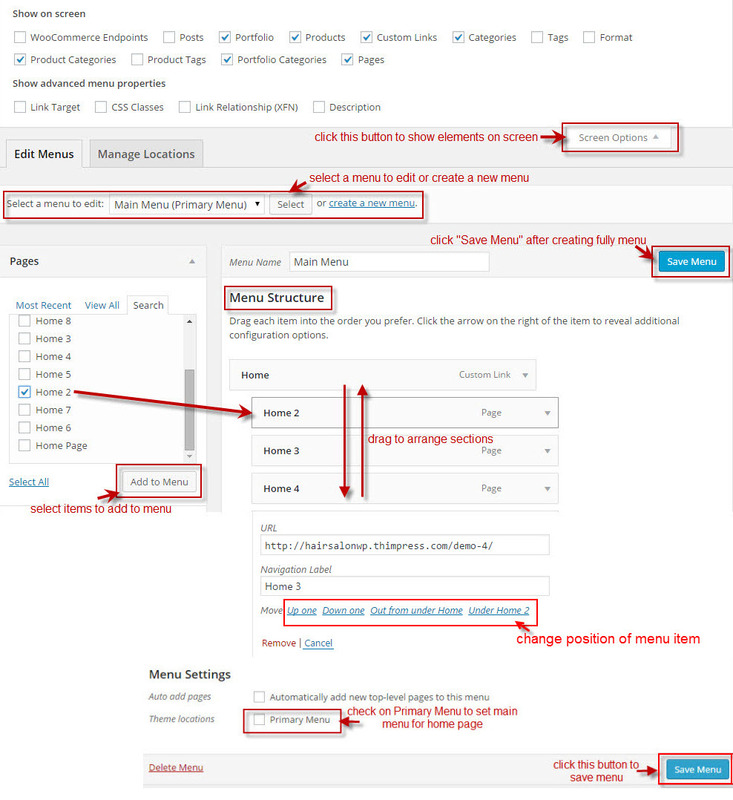 To configure layout for blog page, go to Dashboard >> Appearance >> Customize >> Blogs >> Layouts. 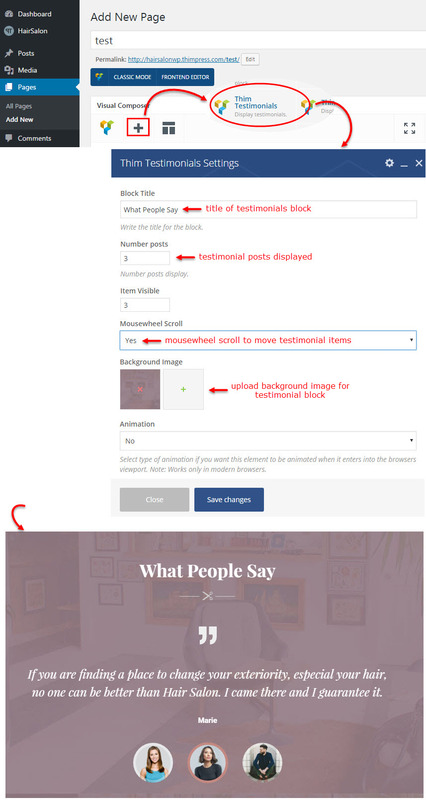 This is the place for you to select an alignment for your Blog page – which is place to show posts or for single post. You can choose whether or not to use the sidebar, as well as positioning it in a layout with 1 or 2 columns. 4 – Two sidebar, located on the left and right. Hairsalon includes a wide array of custom widgets in addition to the default widgets WordPress offers. All widgets are found in the Dashboard >> Appearance >> Widgets tab. There are various customization options and fields for each individual widget, and they are all self explanatory. You can put as many widgets as you want inside of Blog Sidebar. 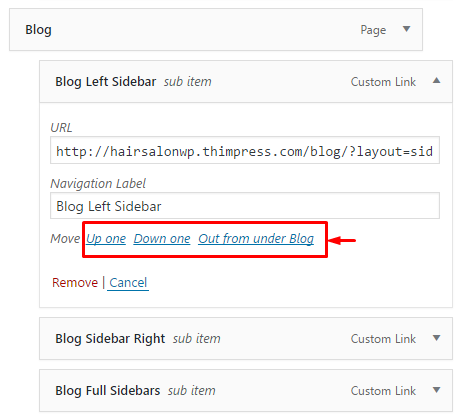 Please read below for information on how to add widgets to Blog Sidebar. Step 1 – Navigate to the Appearance >> Widgets tab to access the list of widgets and widget areas. The left hand side shows all the widgets you can use. The right hand side shows all the different widget areas you can add widgets to, including Blog Sidebar. Step 2 – Simply drag and drop the widget you’d like to add into Sidebar area on the right side. Step 3 – To rearrange widgets on a widget section, just drag and drop the widgets into the order you’d like. Step 4 – When finished, make sure to click the “Save” button in the widget editing box to save your changes. Shop page is a page to show products, product categories. 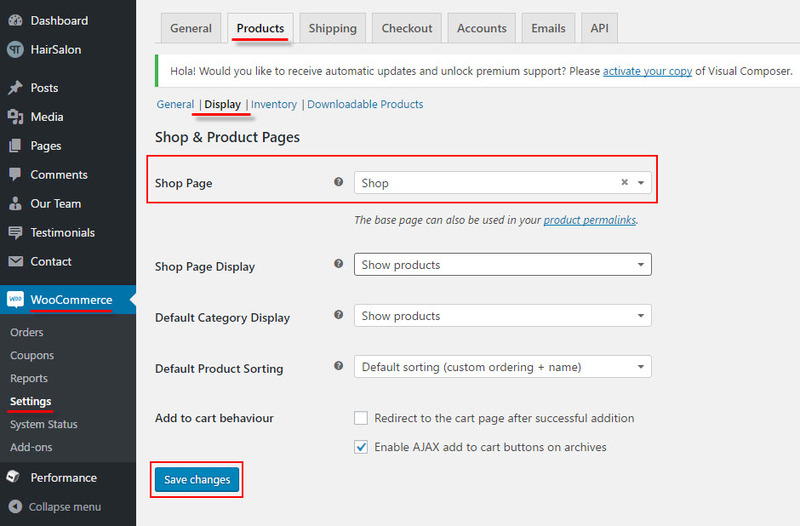 To select a page is shop page, you need to go to Dashboard >> WooCommerce >> Settings >> Products tab>> Display sub tab >> select Shop page >> click “Save Changes” button. To configure layout for shop page, go to Dashboard >> Appearance >> Customize >> WooCommerce >> Layouts. This is the place for you to select an alignment for your Shop page – which is place to show products, product categories. 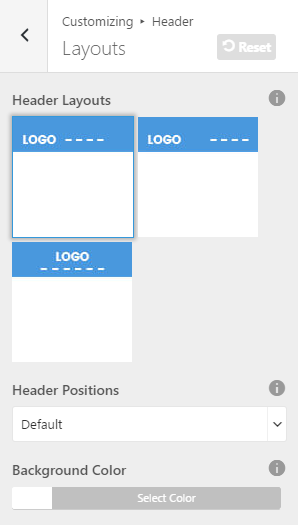 You can choose whether or not to use the sidebar, as well as positioning it in a layout with 1 or 2 columns. 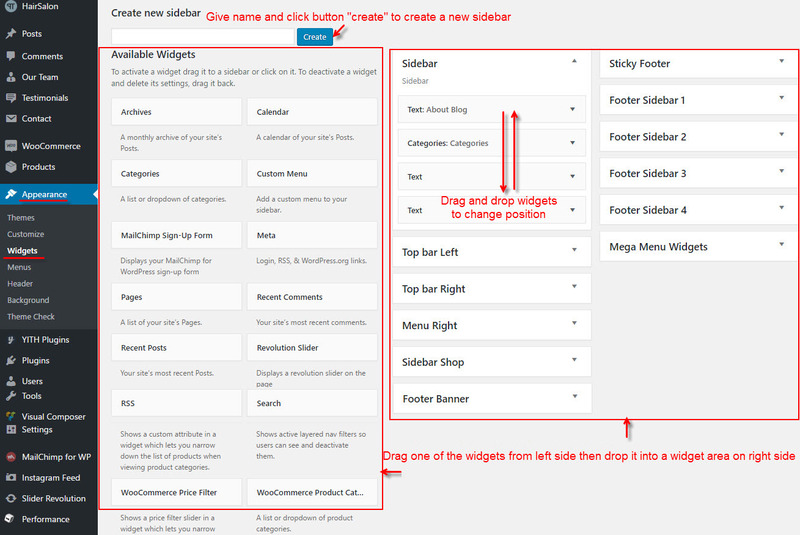 Please read below for information on how to add widgets to Shop Sidebar. Step 1 – Navigate to the Appearance >> Widgets tab to access the list of widgets and widget areas. The left hand side shows all the widgets you can use. The right hand side shows all the different widget areas you can add widgets to, including Shop Sidebar. Step 2 – Simply drag and drop the widget you’d like to add into Shop Sidebar area on the right side. Hairsalon footer consists of the widget area and the copyright area. Both of these areas can be configured in Customize. Footer Sidebar area consists of 6 total columns, and each column can have its own set of widgets. You can select to show 1, 2, 3, 4, 5, 6 columns in the footer sidebar. Footer Widgets are added in the Footer Sidebars. 1. 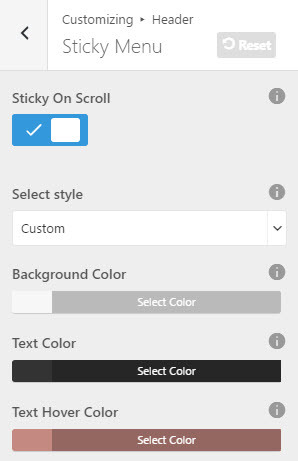 Show Sticky Sidebar: This option allows you to enable or disable a sticky footer. Checking this radio box will enable the Sticky Footer effect. This allows the footer to always stick to the bottom of the browser window, even on pages with little content. Notes that: height of sticky footer is fixed default. 2. 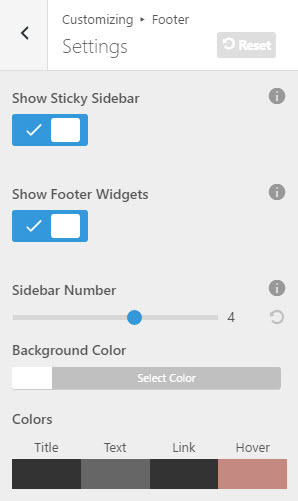 Show Footer Widget: This option allows you to show or hide Footer Widget area. 3. Sidebar Number: The widget area consists of 6 total columns, you can select to show 1, 2, 3, 4, 5, 6 columns in the footer widget section. Each column can have its own set of widgets. You can learn how to add widgets into Footer Sidebar below. 4. Background Color: Pick a background footer color. 5. Colors: Pick color for tittle, text, link, hover on footer section. The are 1-6 columns that can display widgets. Widgets add various content or features to your site. They can be added, removed, and rearranged in Dashboard >> Appearance >> Widgets tab >> Footer Sidebar. 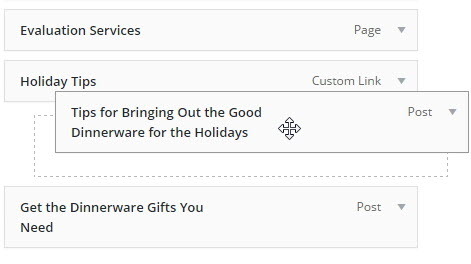 Step 3 – You will see a ‘Footer Sidebar X’ sidebar on the right hand side for each footer column you selected to have in Customize. 1. Font Family: This option allows you to select a font family to use. 2. Variant: This option allows you to select a font weight and style to use. 3. Subset: This option allows you to select which subset to use. 4. Font Size: This option allows you to set the size of the text on display. 5. Line Height: This option allows you to set the spacing between lines. 6. Letter Spacing: This option allows you to set the spacing between letters. 7. Text Transform: This option allows you to set uppercase or lowercase. 8. 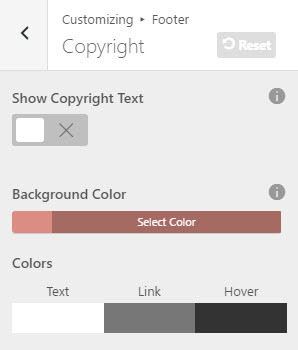 Color: This option allows you to set the color of the text. Hairsalon WP is built from Visual Composer, a premium powerful plugin. Besides Visual Composer shortcodes, we also created our shortcodes. The shortcode is created by Our Team plugin. You have to create members firstly in Dashboard >> Our Team. Read changelog and make sure that your site is running the latest version of Hairsalon WP. After imported demo data but revolution slider on home page is missing, that’s because you haven’t configure revolution slider for home page. 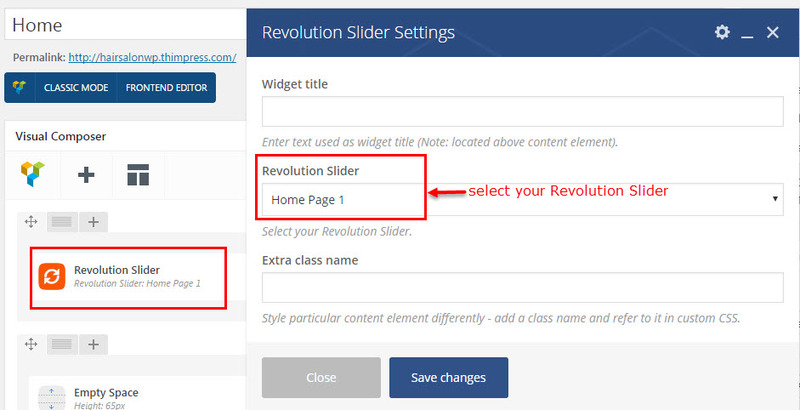 Check Revolution Slider settings in Plugin section. Step 2. Go to support forum of your product and create your own topic. Here is support forum of Hairsalon WP.